Join your fellow club members for a track weekend featuring a High Performance Driving School, BMW CCA Time Trial, and a BMW CCA Club Racing School! We will also be joined by the Big Euro NorCal vs SoCal car show. Using a racetrack provides a well-managed environment, and the emphasis is on safe, smooth, and controlled driving. At no time will you be pressed to go any faster than you are comfortable. Participants will be grouped according to experience and, to some degree, model of automobile. 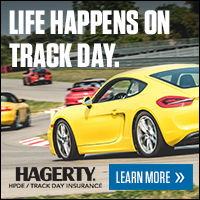 We believe that what you learn at an High Performance Driving Event (HPDE) will benefit you in your normal day-to-day driving, especially when confronted with emergency situations. Our Driving School HPDE has a mission is to help you improve your skills, while also having fun, in a safe and controlled environment. We use a combination of classroom and track sessions to emphasize the relationship of the driver and vehicle, and how to make them function in unison, giving you the opportunity to learn your capabilities, limitations, and refine various driving techniques. Our Instructors have extensive experience in mentoring and developing students at all levels. You will have in-car and classroom instruction throughout the event as part of your registration. For the most advanced students, we will be offering an A-Solo group with no in car coaching that runs with the instructors group. The A-Solo students will cover more advanced topics in the classroom. We are also offering up to 10 A-Solo students an option to add an Advanced Data Coaching class to help get the most out of their driving experience using in car telemetry. If you’re interested in taking that next step in your driver development, BMW CCA Club Racing School is open to advanced HPDE drivers, HPDE instructors, non-licensed racers, and licensed racers who are looking to safely participate in new driving experiences that will take you to next level! You do not need a BMW or a race car to attend the school. Your HPDE prepared street car, a SNELL 2010 helmet, and the drive to perform at your best is all that’s required. Open to all organizations: BMW, NASA, POC, PCA, SCCA, Speed Ventures, HOD, NCRC, ARC, VARA, etc. Even if you do not plan to be a race car driver at this time,that is no reason to miss this opportunity. The BMW CCA Club Racing School is fun, highly structured, and conducted in a non-contact environment. Limited to 30 participants, the BMW CCA Club Racing School features an experienced team of racing instructors, and professional racing drivers. All candidates must submit a basic summary of their driving experience before their registration will be accepted. Another new option to the most advanced drivers in our program will be the addition of the Time Trial group. This group is not a school environment, but an intermediate step between an HPDE and full wheel to wheel racing. Time Trial is a competitive, timed event with no instruction. It is run under BMW Club Race sanctions. A transponder will be provided (if you already have one, you will get a $25 discount). The Advanced Data Coaching class to help get the most out of their driving experience using in car telemetry is also available to Time Trial participants. Due to the advanced nature of the A-Solo, Race School, or Time Trial groups, you will need to provide qualifications and references before your registration will be accepted. You should have extensive on track experience, be comfortable in traffic, participated in many BMW Driving schools and have familiarity with the track at Buttonwillow. The registration process will guide you. Please include anything you feel is relevant (running with other organizations, open passing/comfort in traffic, different tracks, number of years driving on track, temperament, goals on track, instructors that are specifically familiar with your driving, number of BMW schools in the A group, race prep on car, etc...). Driving School HPDE registration fee is $449 (returning members $399) NOTE: A-SOLO and B and C are SOLD OUT, You can still enter to be Waitlisted. BMW CCA Club Racing School costs $475. Time Trial registration is $475 ($200 for instructors). Late fee after February 23rd will add $50 to registration. You will not be charged until your registration is approved. The driving school options include individual in-car track instruction, classroom sessions (A-Solo has no instructor in the car). Everyone is provided lunch Saturday and Sunday and water will be provided throughout the event. Plan to join us for light appetizers at the hotel on Friday evening, March 23, for our event Registration Mixer from 7:30 – 9:00 PM. Please bring your Tech Inspection form, Medical Information form, proof of insurance, and SNELL 2010 or newer helmet to be signed off and finalize your registration. Additional lodging is also available at the Best Western Heritage Inn, 253 Trask, Bakersfield (off I5, 16 miles from track) (661) 764-6268 and Best Western Plus Wasco Inn and Suites, 1704 CA-46, Wasco (on HWY 46, 19 miles from track) (661) 758-1111. Buttonwillow Raceway Park is located at 24551 Lerdo Highway, Buttonwillow, CA. Support our long time sponsors BMW of Escondido/Brecht Motorsports.